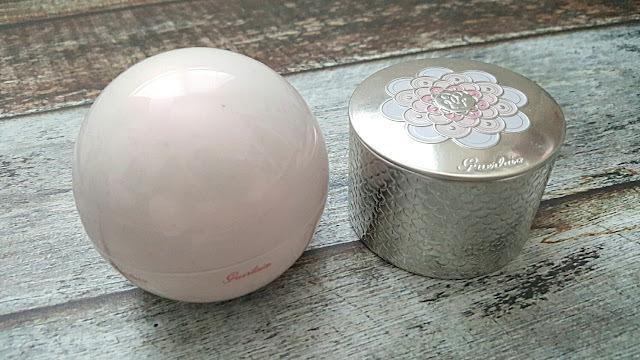 Oh Guerlain, why are all the collections you bring out, especially the limited edition ones, just so utterly beautiful? The Spring 2017 Collection to start, is no different. 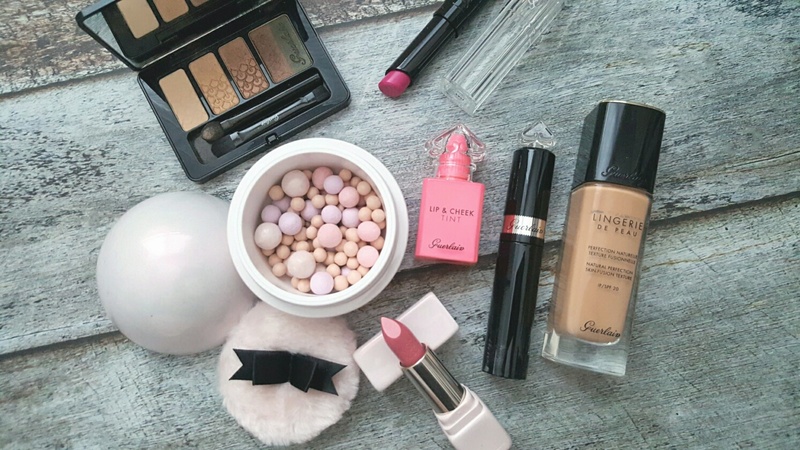 It is comprised of four different items, all with a beautiful opalescent pearl finish packaging and gives off a baby pink sheen. 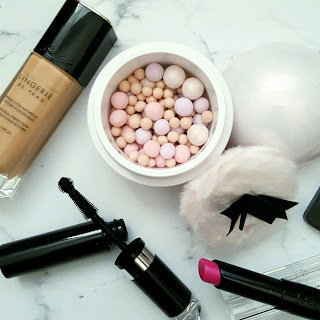 Multicolor shimmers combined with correcting and illuminating "rosy glow" pearls erase signs of fatigue and reveals the youth and natural rosy glow of the complexion. The pearls come in a range of sizes and has four different tones. Rainbow Glow (shimmery) - a light pink with multicolor reflection flecks to give an ultimate glow, Mauve (matte) - to catch the light, Pink (matte) - to refresh the complexion and Champagne (shimmery), to reflect light. The pearls are housed in a case that is reminiscent of a big pearl and inside of the lid has a mirror the size of the lid and a generous pink powder puff with a black bow. Here is a comparison of the limited edition packaging to the regular one. 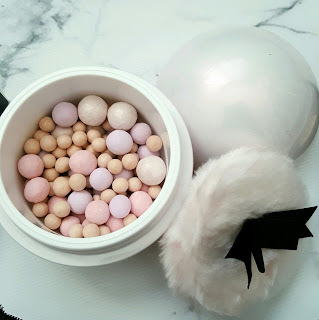 Mini "raimbow glow" pearls with multicolor shimmers and reviving pink pearls boosts radiance for a fresh and rosy glow. I was unable to try this product, but the pearl inspired pink with a baby pink pearl reflection just makes me want to have it. 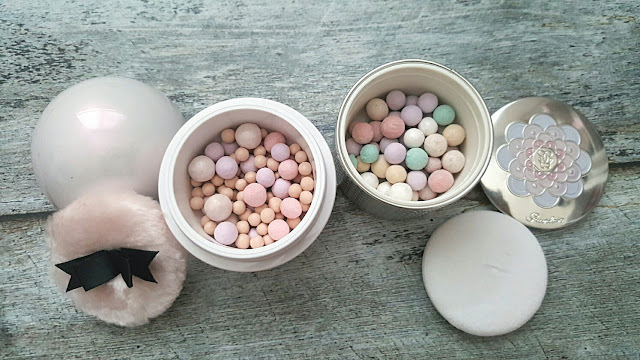 This is like the Happy Glow Pearls above, but in a pressed compact with a pink tint to it so that it is a blush. 3. Meteorites Powder Brush ($51). 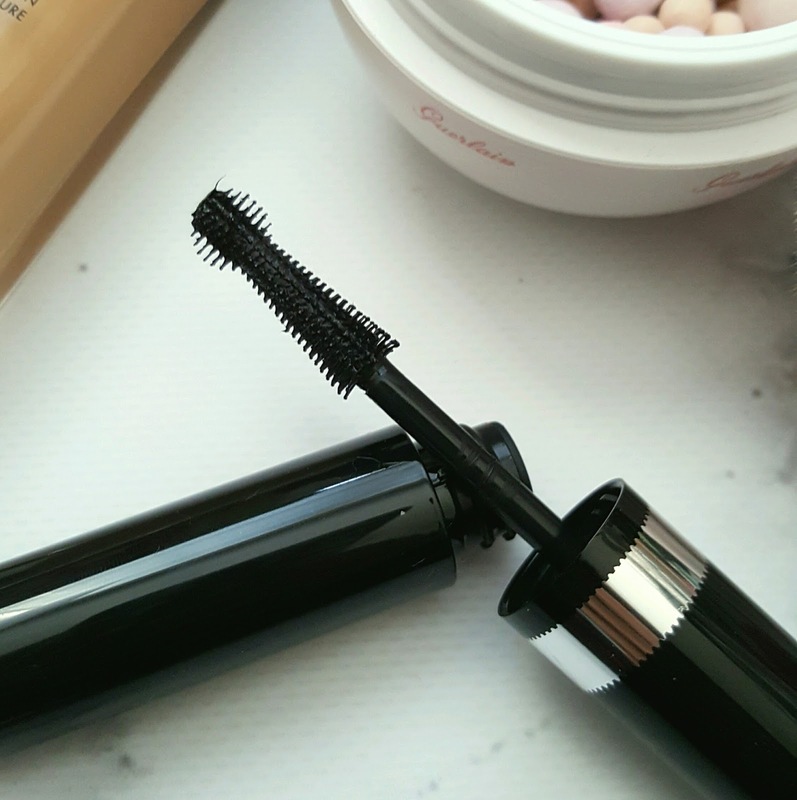 I do not believe this is released specifically for the collection as I've seen this brush before, but the long densely packed yet soft bristles on the brush allow for them to gently sweep over the pearls to pick up the necessary product to sweep onto your face. The longer bristles also help to keep the pearls in the container as opposed to flying around everywhere or landing on the floor. Two limited edition shades complete the rosy glow look to your complexion. The two shades are 564 - Pearly Pink (featured below) and 565 -Blossom Glow. These lipsticks are very buttery, pigmented and smooth. They are enriched with plumping hyaluronic acid spheres that helps your lips to achieve fullness and softness. 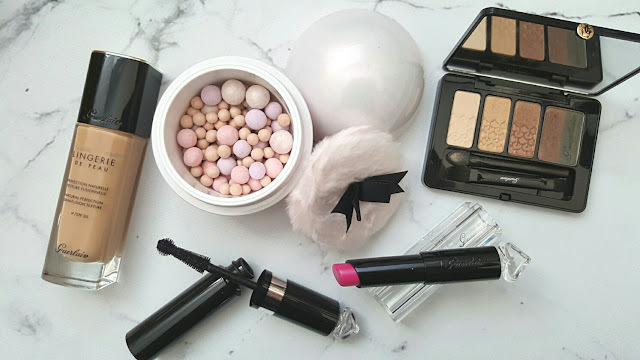 Onto La Petite Robe Noire Make-Up Collection that is launching Nationally on April 1, 2017 and is pre-launched at Sephora on February 3, 2017. 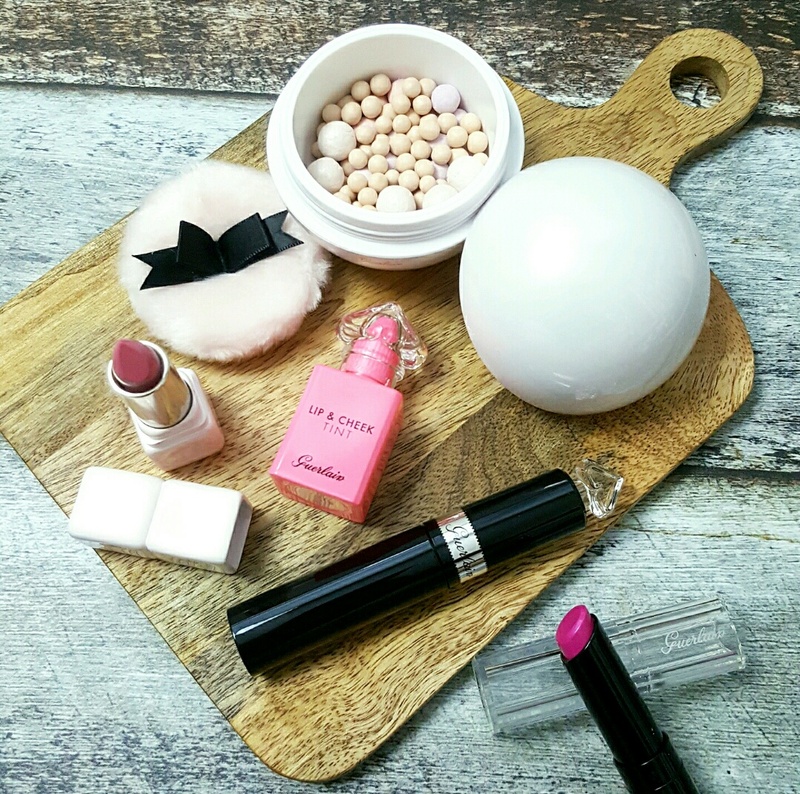 La Petite Robe Noire Lipcheek (seen above in the center of the picture), is a tint made for both the cheeks and lips. 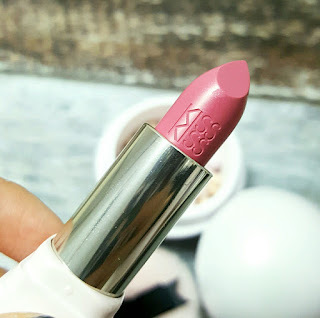 They retail for $35 each and is moisturizing, provides a slight plumping effect, is perfumed and flavored (as said by their site) and comes in a universal pink. The scent is a perfumed floral scent, and the flavor aspect, I wouldn't say it's flavored.. it tastes like perfume (yes I know what it tastes like as I've accidentally sprayed it in my mouth before). Haha! I personally prefer to use this as a cheek tint as it gives me a pretty flushed look that lasts all day. The above lipstick is from the La Petite Robe Noire Deliciously Shiny Lip Colour ($38). It comes in 3 new shades - 023, Ruby Ring - a dark red, 073 Orchid Beanie (shown above) and 043 Sunglasses - a pop of orange. 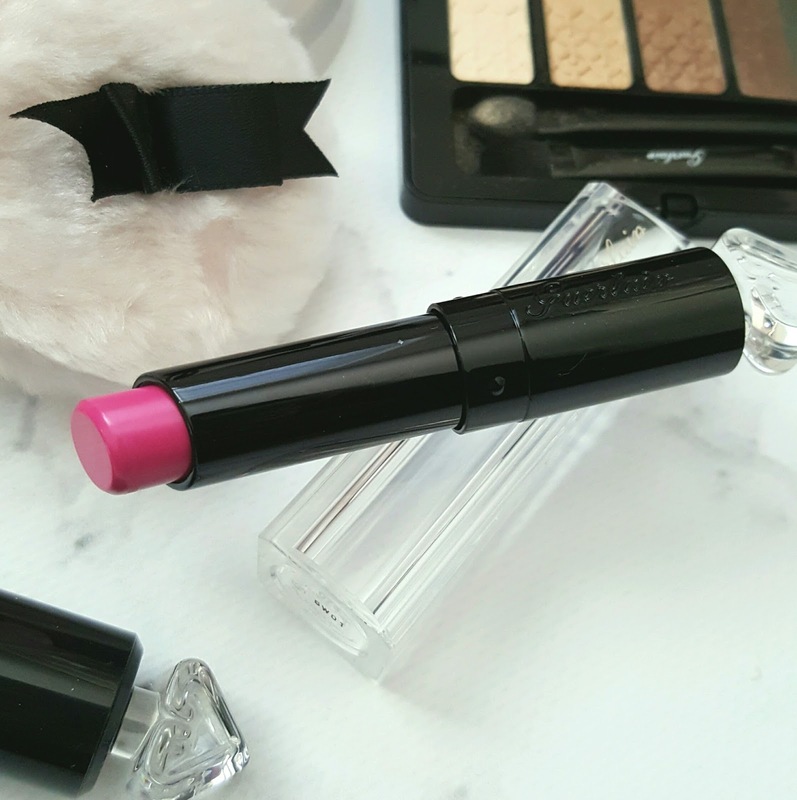 This lipstick is a high shine lipstick as the name would suggest - it gives you a glossy finish and makes your lips look fuller. It's sheer to buildable and doesn't get patchy. 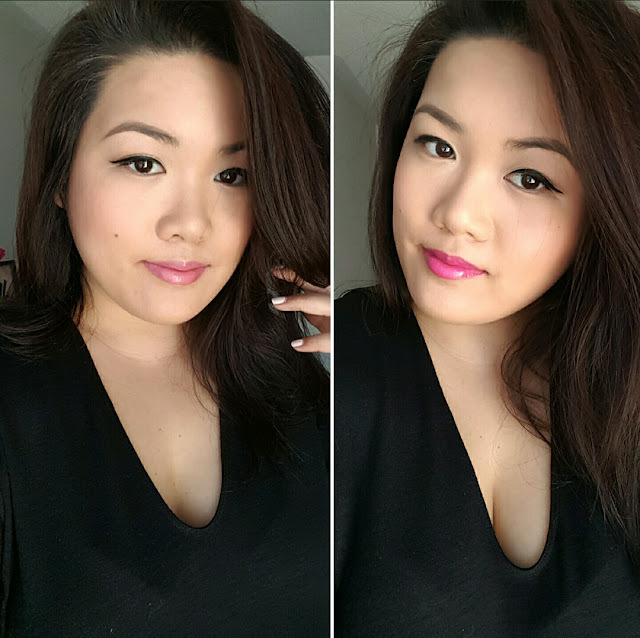 Left: KissKiss Lipstick in Pearly Pink and Right: La Petite Robe Noire Deliciously Shiny Lip Colour in Orchid Beanie. As you can see, this collection is gorgeous and I highly suggest that you go to at least pick up the La Petite Robe Noire Mascara, the two lipsticks and if you're a meteorites lover then you must pick that up as well!